Who or what REALLY creates, determines or shapes what happens in your life day to day? The techniques and practices you use? Or is it “someone” or “something” else? Listen to the audio below to get what may be a shocking answer to these and related questions. I expect this to be a controversial and thought provoking post. Please leave your comments below and be sure to share this blog post with other people you think might like to hear the same message … however you do it. Been following your books and you from time to time. Contrats in recognizing and disclosing that for the most part we are “robots” as described in DU and I certainly have experienced this in interesting ways. And our only real freedom is which Voice do we want to listen to –the “Angels of our Higher nature: –i.e., which “I”? (as Ramana M asks, certainly not the body/ego/thinking “I”). Only then can we perhaps experience the more “happy dream” as ACIM calls it. Whatever will be will be and our only choice is to see through/recognize the illusion in it, use it in waking/forgiving the dream; this phenomena (dream/movie); thereby getting rid of enough of the human baggage (often called guilt for this grand projection) and identifying instead, wholly, with our Spirit Christ/Self until we are finally, fully Self-realized/truth-realized– so we don’t come back to this “dream of terror.” Keep putting it out there to help people change their minds about this world and its meaning, rather than try to change anything here. Thanks, Anando. I fixed the typo. Thanks for the comment, Marie. I’d like to share something in response. I’m very sensitive to language used to express things and the “negative” connotations on the surface or buried beneath them. I shared the example above of the author J.K. Rowling and her Harry Potter stories. Is Harry Potter a robot? In a way, yes, I guess. But to me, not at all, even though Rowling created him, determines his every thought, feeling, action, move, etc. To me, Harry (and all the other characters in great stories) is a magnificent character in an amazing story, He is overflowing with life, personality, passion, courage, creativity, quirks, etc. I see us being the same way. There is an “author,” we are the author, not separate in any way, and we are all magnificent and full of “life” too. Harry and the other characters, like us, has wounding, issues, pain, etc. Is that baggage? A burden? Something “bad” to get rid of? Yes, I guess again from one perspective, but to me, it is magnificent “story elements” that makes unique and amazing stories and action and characters possible. Does life change if the “baggage” is set down? Sure. Are new things possible? Of course. To me, again, the journey into getting the baggage, living with the baggage, the journey into and through letting it go, if that happens (it doesn’t happen in all lives/stories), makes amazing experiences/stories that Consciousness, or what I now call True Creative Essence, who we really are, can experience from one perspective whole “we” do from another. Again, just my biased 2 cents. I see what you are saying–same but more positive. We are “robots” of our own script and we can enjoy/marvel at it or resist it. I have done both with more resistance than is Necessary. Thanks for pointing it out–will make my ride in this dream of terror–perhaps turning it into fun drama – but only as I am able to stay in awareness of the dream and not to forget to marvel or laugh at it all. To me, there are times when words cannot possibly accurately describe things. And there are times when the words we choose to use have great significance and impact – not as techniques or mind games, but as expressions of how we see things. Since you do see The Truth of The Human Experience, at least of what’s possible, I would invite you to drop the “dream of terror” wording and describe The Human Experience differently. Again. thank you. My hubby also does not like the “terror” description nor the “I can’t wait till I am fully awakened SO i can get of here” i.e., not have to come back in a body. Of course I mean “get out” in a positive way. Nevertheless, at 72 yrs old and with a fairly good life this time around, I still have aches and pains and am told when I am totally “truth-realized” that my then “guiltless body” cannot suffer. Like Jesus did not suffer on the cross. I also still do not like to see the pain and suffering in the world– interesting game or not. But may still try to reframe the negative. Any ideas when I see people suffering with their additions and problems. Right now I just think: this is a dream, I forgive myself for dreaming it and then recognize the illusion. I would rather just live in Reality without the fear. Hi Robert: The “drop in the pond” that you have delivered to me was a gift; and it was welcomed and appreciated immensely. Though I’ve been a follower of your teachings for many years (Phase 2 Player; Busting Loose veteran)my contact with you and your evolution has been sporadic at best over recent years. I have the concepts of Expanded Me, poking holes in the cloud cover, “I’m not driving the bus”, reclaiming the power, in my journey as traveling companions on my journey. I pull them out as needed (which is sometimes frequent, sometimes not). But the think I’d like to pass on at this moment is how I really needed to pull those tools out due to an illusion in my hologram at present that is really rocking my existence. I’ll spare you the details but suffice it to say that it is a trying time as far as needing to “deal with fear” and “reclaim that power”. The important part is that when I realized that the fear was getting to Defcon 5 level, and I needed something to help me put things into perspective, it was the “Reclaiming the Power Process” that I reached for. It was the reassurance that “It’s an illusion; it’s not real” that I reminded myself. It’s the “I’m not driving the bus” travel advice I gave myself. And with the process and the tools provided from your teachings of the Phase 2 lessons, I was able to center myself, gain perspective, breathe, and get through “it”. Reminding myself about the tremendous energy that it took to create an illusion that was so believable and so threatening actually helped me. Reminding myself not to judge the outcome as either “good” or “bad” actually calmed me. And then, I opened my email box to find this communication from you. I haven’t been aware of you reaching out for quite some time, so, I view your communication as support from my Expanded Me at a time when my Expanded Me apparently believes I need that extra support. The interesting thing is that the sound of your voice, what you had to say, the congruence of your message with what preceded it, the consistency, was like “going home” familiarity. I heard your words, I knew where you were going, I understood, and I was reassured and calmed by both the message and your gift. I’m still wrestling a bit with a determination of which of the 3 roles other people play in my hologram are being served by you at this time. Setting something in motion? A gift? A mirror of reflection? Certainly an indication that my Expanded Me is present and there to catch me; one who can be trusted. In this hologram that is insane at times, it is reassuring to know that the value that I gleaned from your teachings from many years ago, is still reliable, dependable, predictable and constant. That is a true gift worth appreciation. Glad to hear that The Teachings had and are having impact on your story. Thanks for the share, Denny. My guess is most people would say that some or many aspects of their holograms are “insane.” I know I sure felt that oh so many times on the way ti what I now call Ultimate Freedom! Denny described my experience the last 6? 7? years since I first read BLFMG. So glad to have the tools and now will listen to this download. It comes down to the realisation that we are not in control and it is being “done to us”. Just knowing that there is a Power that “doeth all the work” and reflecting on this is enough to come to a knowing that the “I” or “I Am” or whatever you call it is running the show. Yes. 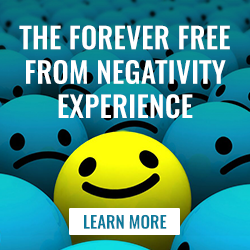 Many people look at the not being in control as being a negative. Not me. The practical “benefits” of it are enormous in actual Experience. Personally, although it’s technically correct from one perspective, I don’t like the language “done to us.” To my bias, such language has “negative” connotations on the surface or buried beneath them. J.K. Rowling is the author of the Harry Potter stories. Many so-called difficult, painful and challenging things happen to Harry and others in the stories. Is Rowling “doing it to” Harry and the others? To my bias, no. To my bias, she is joyously and lovingly expressing her creativity through the telling of amazing stories and Harry and all the other people places and things in the stories are her Consciousness in motion. Many things happen, but to my bias, none of it is “being done to” us. Just my biased 2 cents! Is your post Divine timing? A message for me to continue uncovering the truth? I’ve made peace with the fact I don’t yet have all the answers and found myself yesterday in a coaching session sat in my client’s garden in the sun explaining that there’s many school’s of thought around setting intentions, being clear on what you want, and goal setting, which also then go on in different ways to suggest how to manifest those things. I explained I’m still exploring the truth in all this but see no harm in playing along as at the very least it keeps the mind focussed on positive things and many of the manifesting methods are fun to do (part of me does feel it’s replacing being in one flock of sheep with a new age flock of sheep instead – so ultimately still behaving like a sheep albeit a more awake one). My client didn’t mind in the slightest that I wasn’t wholly committed to the workbook I would be sending him to complete (a workbook based on what I’ve been taught and read and implemented myself to various degrees of success and frustration in equal measure). He’s more than happy to play the game and see what feelings, insights he gets from going through the process. My client accepts he’s on a journey and although not yet as relaxed as me in ‘not knowing’ he certainly feels more comfortable moving into the unknown than staying where he is. 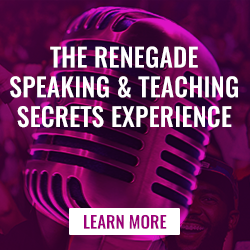 After I got home and emailed him the workbook on revealing his values, setting intentions, writing the blueprint for his life, goal setting and manifesting techniques I noticed your post in my inbox. Divine timing? A message to continue uncovering the truth? I had also mentioned your book Busting Loose From the Money Game during the coaching session and suggested my client read it and that I would listen to it again and together we could delve into the teaching. I’m grateful that I feel free, yet I notice part of me still falls into questioning my actions and behaviour, wanting me to follow what others do, follow tried and tested ways to develop my business and also questioning what I see around me particularly the two health conditions I still have running. Will this questioning ever completely go away or is it a case of ignoring it? I’ve worked as a coach for the past 6 years and recently set up on my own as my views differ and I questioned the impact of some of the mainstream methods I had to use when employed. I’m excited to be on a journey and invite clients along too working with those with entrepreneurial spirit who want to learn, experiment, and challenge the norm. Those that refuse to just “fit” in, the rebels, the creatives, the change makers. Ultimately following what excites them. Thank you Robert for sharing your Truth, what you See and Experience!!!!! My pleasure! Thanks for stopping by and sharing snipers from your journey! I’ve shared your post with a few people who enjoy Abraham Hicks, and systems like Human Design, and the Enneagram so will see what discussions unfold. I enjoy questioning but really what I would love is to Experience for the majority (ideally all) of the time. I’m certainly keen to see and be part of more of your work as and when the opportunity presents itself. Thanks so much for sharing the posts! That’s when I made it my mission, so to speak, to find a way, as best I could, first for myself, and then for others, to have those sorts of Experiences! Now that’s what I’m talking about. Love it!!! I have no issue with the journey I’ve been on but certainly ready to bust loose. My experiences of the Truth are to awesome to settle for anything less. It’s just not an option for me anymore, I want to consistently experience Truth. Thank you for showing what I know to be real, truly is! I think the word power “source” is used a lot, but that it’s misleading, because it implies that I have some power independently, which is derived by something else. The way I see it, and I think you also see this way, is that we don’t “have” Power that comes from someplace else, because there is only ONE Power, it *is* Power itself. “The” Power. If there is only one Power, which is Power itself, then it cannot be divided and allocated, there can be none left for me. The illusion that I have independent Power aside from it is very seductive and difficult to let go of, in some ways, for me it has meant the loss of an identity. But, like with most things, something lost is something greater gained. I may have lost my autonomy, but I’ve gained power. It’s VERY easy to intellectualize this in the land of ideas and concepts. My direct experience has been in small educational chunks. To quote William James’ “Varieties of Spiritual Experiences”, you could say my awakening has been of the “educational variety”. Someone who knew what they were talking about said that “of Myself I am nothing, my Father doeth the Works”. I’m not religious at all, it’s just evidence that the Truth has been known for quite some time. But no one is delivering in the way that you are, and I appreciate you a lot for that. Thanks for the share, Megan. Wise words. The way I see The Teachings that flow through me, it they seem to do several things: 1. Talk about ageless Truth in modern terms; 2. Add some important new pieces (especially in the Ultimate Freedom Teachings); 3. Add the something new in modern terms as well; 4. Be able to speak from deep, personal experience versus theory or intellectually recycled wisdom from someone else. Just my bias, but that’s what I see. You opened my eyes years ago to the ‘not driving the bus’ awareness and am forever ‘appreciative’. After reading most/all of your books, I moved back to Alan Watts and understood more of him than ever. He makes all of this extremely clear to me. My main questions: Isn’t it quite possible that your individual path and Truth with a capital T experience is yours ‘designed’ specifically for you. That could be a possibility, correct? And if that’s the case, then why should it work for me or anyone else for that matter. Second, even though you so accurately describe the flaws in the ‘Law’ of Attraction (I couldn’t agree more) especially the cause and effect actualization or manifestation, why does it seem to me, that there is still cause and effect in your methodology. If you buy my program and follow my techniques of doing the ‘process’ (which certainly borders on affirmation) then you will get results. So confused on this. It totally smacks upon cause and effect (to me- my bias). in other words after your two drops in the pond, they stir up feelings of want or lacking (till I get my wits about me and relax into Source). In other words, it appears that you effectively create a ‘gap’ mentality to steer one to the teachings. As Richard Hawkins says, “if you want to be enlightened, stop being unenlightened! And, better yet, as Alan Watts said, ‘Giving spiritual authority to anyone is like having someone pick your pocket and sell you your own watch; i.e. we all possess our own ‘Power’ now. Please elucidate? I have learned that I must draw a tight boundary about answering questions and providing support on The Teachings in blogs or public forums like this. If I open that door, so much comes flooding in that I have no time to do anything else in my life. I will answer your questions briefly, since they have Universal appeal, but I do not wish to engage in a back and forth dialogue about what I share below, and for you and others reading here, I may not answer questions here in the future. I hope you and others can understand that. First, I want to say that I learned, the hard way to to speak, that you cannot think your way into Truth or understand Truth. The Mind, logic, intellect, whatever you want to call it, was never designed to do that and it can’t do that, even if it thinks it can or does. Trying to “understand” all of this will ultimately lead to failure and frustration and endless questions and “yeah, buts” or “what about …,” etc. Ideas and concepts are a fine to start the journey, and help at points along the road, but ultimately, The Truth must become Experience to avoid that trap. Having said that, here are a few crutches, metaphors, ideas and concepts that might help. A novelist, an author of fiction, uses their imagination, their consciousness, to tell a story. The author shapes that imagination, that consciousness, into people, places and things that shift and change and move as things happen and the story unfolds. All the people, places, things and action are the author’s consciousness in motion, expressing itself. The main character of the story, the hero, appears to think things, feel things, decide things, have free will, be at the mercy of cause and effect, be the cause of various effects, etc. But that’s an illusion. In a story, the hero, all characters for that matter, cannot think, feel, do, decide, cause or be the effect of anything unless the author writes it first. The author “writes” all the cause and the effect that appears, the author’s consciousness IS the cause and effect that appears, but there is no relationship between cause and effect, no power in cause, like we believe there is. The cause/power is always the author, as is the effect, no matter what’s happening. Cause and effect in a story is an illusion. It just seems real as you explained, and if it didn’t seem real and believable, the story would not be possible or enjoyable. To me, it is the same with us. There is an Author of our stories, call it what you like. I now call it True Creative Essence. We, as characters, heroes, are expressions/creations of that Author in the same way as characters in fiction are, etc. Was my path and Truth written/designed uniquely for me? Or course it was. I’m a unique character in a unique story. Can The Author write for that same path and Truth to “work” for other characters it has written into the story? Of course. Is there cause and effect in that scenario? No. Not as we see it. It’s just what was written by The Author. Can The Author write for that same path and Truth to NOT “work” for other characters it has written in the story? Of course. That happens all the time with Teacher characters, writers, speakers, including me. Is there cause and effect in that scenario? No. Not as we see it. It’s just what was written by The Author. At what I call the story level, Robert was unhappy with his life, wanted to change-fix-improve so many things, and was a Seeker Of Truth. In Robert’s story, a unique journey beginning at age 12 supported him in discovering and then Experiencing things that changed everything. That was his path. At the story level, that is where many other characters appear to be too, wanting to change-fix-improve their lives and discover The Truth, so, in simple terms, that is the language used in my invitations for others to consider The Teachings that flow through me. To my bias, I don’t intentionally create gaps or try to steer anyone anywhere. I just tell my story, which is a compelling story from certain perspectives. I just suggest what’s possible for others who embrace what I did, and where it goes it goes. If you look at all the video invitations on my website right now, you’ll see that. I don’t ask anyone to “give me” anything, follow me, treat me as a guru or anything special. I don’t see myself that way. I Truly see myself, down to the deepest level, as playing a unique role in a unique story, which includes teaching. At the story level, people come into my sphere of influence, I share what I’ve Seen and Experienced, something washes over them, and where it goes, it goes. The Author decides. Not me. Not them. As explained above. With all due respect to Richard Hawkins, to my bias, what he said above is easy to say, impossible for characters to do in most stories. The Author could write it that way, and probably does from time to time, but it makes for a less interesting story, to my bias. There is so much more to everything I just shared, but where it’s all coming from is what I live and breathe these days (so to speak), and what I go into depth on in the Ultimate Freedom Teachings, which appear to be the final destination on the journey into Truth I’ve been on for quite some time. While ideas, concepts and metaphors are included in those Teachings, that’s not what it’s about. It’s about Experiencing The Truth, not as a blip or temporary peak experience, but as the day to day norm. Sit with what I’ve shared here and see if it resolves, or helps resolve your confusion. The situation is more complicated than you speak of. Each person comes into life with a script or plan, that is, with some part of their life planned — and some parts not. The script can be anywhere from very rigid, which means the person has very little room for personal creation –BUT everything needed shows up as planned; to a very loose script, in which case the person has only a general plan, and can create many to most things in their life as they go. In other words, there is no one way Power works. Yes, of course it is more complicated. I agree. I also agree that there is no one way Power works. I make it very clear in The Teachings I share, especially the Ultimate Freedom Teachings, that I’m biased by what I’ve Seen and Experienced of The Truth on my unique journey. To my bias, I see something different from you. I See that all parts of our lives/stories are planned in advance, and play out as written, much like a novel plays out as the author wrote it as we turn the pages. Many people disagree with that or do not like the implications of it. Nevertheless, it is what I’ve Seen and Experienced to be True, and to me, there is nothing but “good news” in that realization, nothing “valuable” lost. Again, as you said, this is more complicated than what can be properly addressed in a brief audio or blog post reply. The blog post was intended to stimulate thought processes in various ways only. Not to be a complete story. 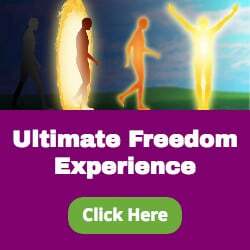 I go into great detail on how I See and Experience things now in the Ultimate Freedom Teachings. I honor and respect your opinion and perspective. Thank you again for sharing it.